Amatrol’s Stepper Motor Programming Package (45058) for Table Top Mechatronics features an in-line USB converter. This converter will be installed on the Table Top Mechatronics Inspection Station (87-TMS2) and will provide the ability to program the Inspection Station’s stepper motor. Using the Programming Package will allow learners to change real-world stepper motor settings such as the acceleration or deceleration of the motor. 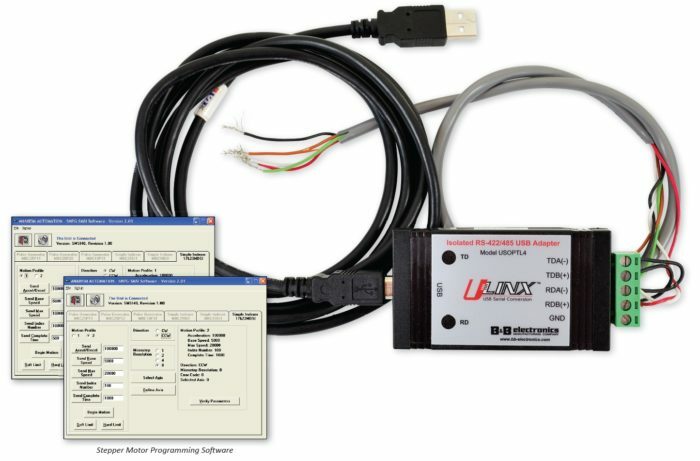 In addition to the in-line USB converter, the Stepper Motor Programming Package includes a USB cable, stepper motor programming software CD, an installation guide, and a supplemental disc.